Bring your old bins back to life with MJL’s refurbishment programme. We can take the nastiest looking damaged old bin and return a container that looks almost brand new. The refurbishment service allows you to recycle your old fleet of containers at a fraction of the cost of replacing with new containers. 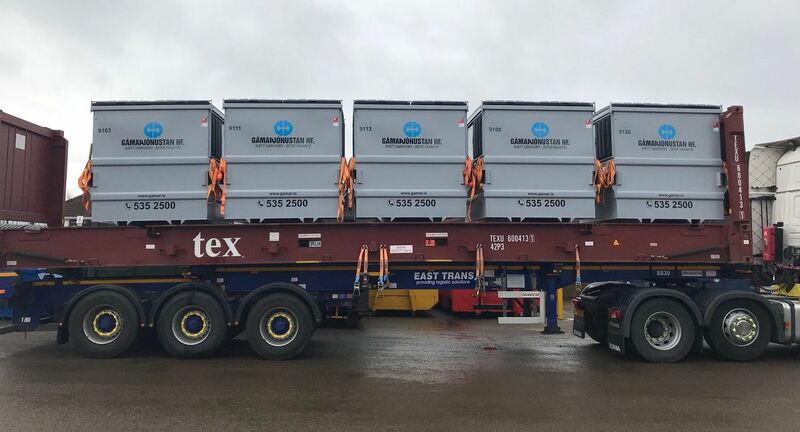 Whether you have a single unit for re-work or a whole fleet of damaged containers please talk to us & we can assess the condition & price asccordingly. The first step of the refurbishment process is to ascertain where new parts are required. Every single part of the container is available as a replacement item. We then also assess any further damages to the container and look to offer the most suitable solution. All repairs, if deemed feasible, from minor repairs to major section replacements are available on site in the experienced hands of MJL. 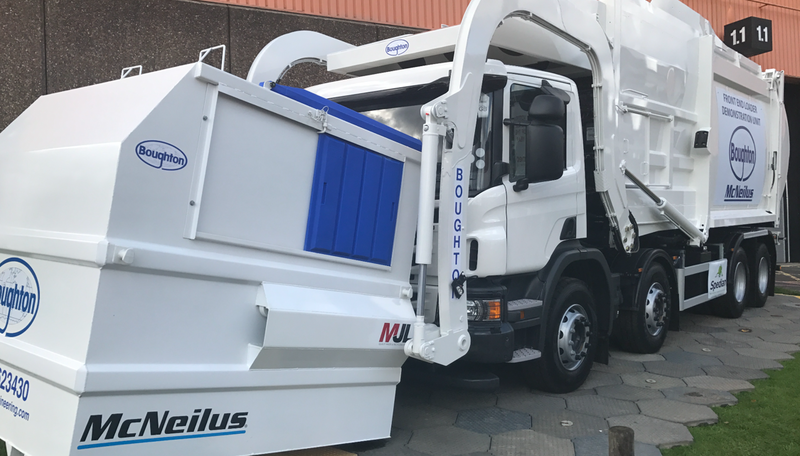 MJL have full & comprehensive in-house & mobile facilities to blast clean your container to really help the end product look as close to new as possible. This process not only improves the appearance of your container, it will also give longeuvity to the paint system, as the grit blasting process not only removes surface contaminants, it also leaves a surface ‘key’ for greatly improved adhesion of the paint system. In addition to the above, blast cleaning will also highlight any frailties/high corrosion points in the steelwork. 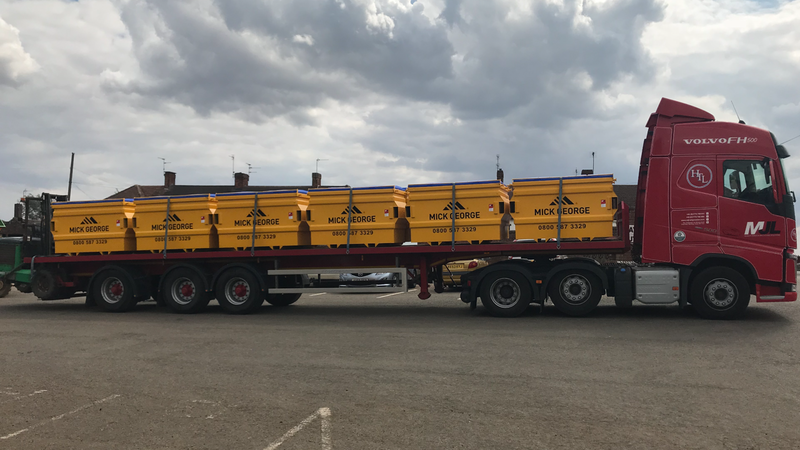 During container refurbishment we blast clean skips & waste containers before they are sent to the fabrication shop, so our engineers are able to see any problematic areas that need addressing. One of the final stages in the refurbishment process is the painting of the skip/container. After blast cleaing & all the repairs are complete, we give the container a good solid base coat primer along with bright, vivid coloured top coats to match your exact requirements. All carried out in our purpose built facility by our experienced paint shop team. The very last part of the refurbishment involves designing, manufacturing and installing all or your corporate & safety signage requirements. We have all the facilities on site to produce all forms of graphics. We can meet any strict branding guidelines for your containers or assist with any new logo, safety sign or container layouts. 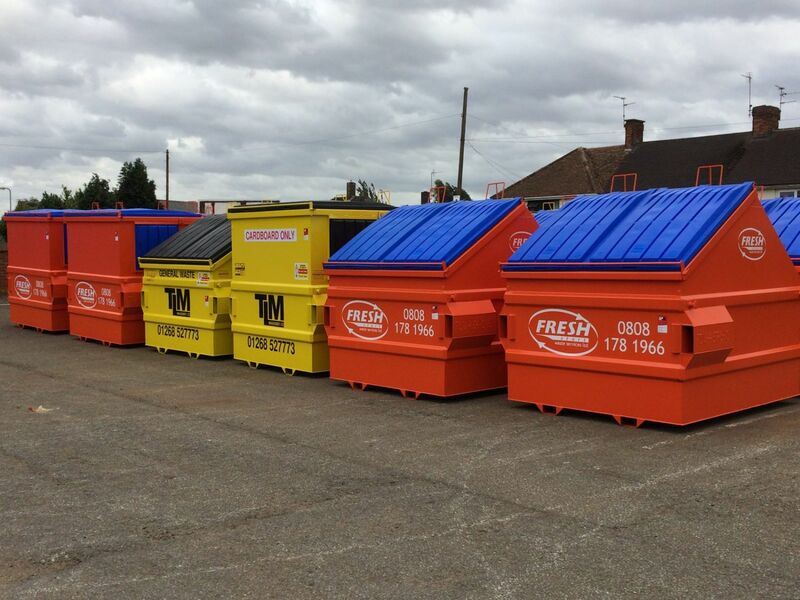 We are a world leader in the design and manufacture of containers for the waste industry. We specialise in Front End Loaders (F.E.L.) and Rear End Loaders (R.E.L. ).